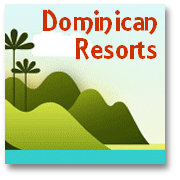 This 'light-hearted' article about the Dominican Mamajuana recipe was written for www.visiting-the-dominican-republic.com by Al Smith. Al is a British author, who has been involved in the 'Food Industry' and with researching, writing about and teaching food science, hospitality and general management topics for over 25 years. 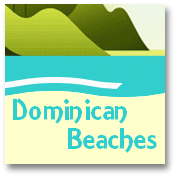 He is passionate about food, drink and the Dominican culture. If you want to read the article later and just find out where to BUY MAMAJUANA NOW? then just click HERE. NOTE: We now supply to US, Canada and UK/Europe - be sure to take a look. "Secrets of Dominican Mamajuana Revealed!" "The infamous Dominican Mamajuana recipe is a closely guarded secret combination of herbs, leaves, roots, bark and spices – steeped for days in liquors – possibly enhanced with some even 'fishier' ingredients – and then combined with honey, wine and real Dominican rum, as well as a few other things. This secret process, only made by a few families who have handed down their recipes for many generations, all goes to produce the traditional 'pick-me-up' for a man's flagging spirits (so to speak) and provide the fuel that enlivens many a Dominican Don Juan's personal performance...or so it is claimed!! In general though, assuming you don't mind a rather sweet tipple, the typical Dominican Mamajuana recipe produces quite an enjoyable herb, liquor and honey concoction. One thing is for certain, you are unlikely to be in the Dominican Republic for long before someone offers you a 'shot' of Mamajuana with a sly 'wink and a nod'! Wherever you go in the world it seems that there is always a 'local livener' that is peculiar to the region. Usually made with liquor derived from some form of abundant local fruits or plant-life...in effect Mamajuana is no exception. You may have tried Mezcal in Mexico, Hierbas in Ibiza or Kumquat in Kerkyra...but none of these quite compare with Dominican Mamajuana which has gained a 'mythical' status in the realms of Dominican folklore. For tourists it certainly makes a 'novel' memento, or gift, to take a bottle of what appears to be 'twigs and leaves' home, instead of (or as well as) the obligatory 'duty free' litre of Caribbean Rum! For Mamajuana can be created back at home by adding your own honey, wine and rum to the natural 'organic constituents', once you have 'cured' them appropriately. Of course the actual combination of ingredients and their relative quantities is a closely guarded secret, known only to a few Dominican families who still produce 'the real thing'. One or two brave souls have risked their 'reputations' (if nothing else) to try and bring the age-old Dominican Mamajuana recipe to a wider audience...and we would be shirking our duties here if we didn't also try and provide for you...if not the 'definitive' recipe at least the best guide to creating your own Dominican Mamajuana recipe that we can wheedle out of our many contacts in the wonderful DR! ...First collect a bouquet of strange twigs! Much more than just liquid Viagra! The most 'popular' type of Dominican Mamajuana recipe, however, is probably the one that is reckoned to emulate the effect of 'viagra'...for this your Mamajuana recipe needs to..."
With a bottle of 'Mamajuana herbs' (maybe you have some you brought back from vacation?) you can now create your own 'perfect brew' at home. You can enjoy a glass of this traditional 'pick-me-up' as you watch the sun go down from your Manhattan apartment (or wherever)...and reminisce about those heady, hazy, lazy days spent sojourning in the DR! We created the e-book 'The Secrets of Dominican Mamajuana Revealed' - so that anyone who wants to know more about this infamous 'beverage' and obtain a selection of genuine recipes (for both beginners and the more experienced) as well as a host of 'brewing tips' - could get the 'secret information' ;-) they needed - economically...and quickly...and at the same time...your 'small donation' of US$10 also helps towards the increasing costs of maintaining and managing www.visiting-the-dominican-republic.com. The secret blend of herbs that form the basis of a Dominican Mamajuana recipe, and the variety of Mamajuana liqueurs that can be brewed from them – hold a very special place in the folklore and culture of the Dominican Republic. 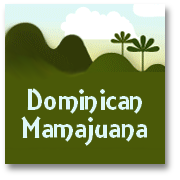 Whilst there are many traditional stories and "old wives' tales" about the efficacy and application of Mamajuana for a wide variety of ailments we would like to point out that www.visiting-the-dominican-republic.com makes NO CLAIMS whatsoever for there being any genuine, or specific medicinal benefits to be gained from consumption of this infamous folk-remedy. There has never been, as far as we know, any reliable or extensive medical research to assess any claims that have ever been made for this product over many years of Dominican tradition. 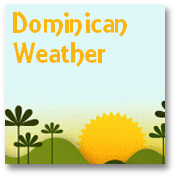 We feature this item on this web site as an amusing example of the most traditional of Dominican cultural ‘novelties’. Almost everyone who has ever visited the Dominican Republic will have been introduced to Mamajuana – and we offer the opportunity here for people simply to obtain a ‘fun-memento’ of their sun-drenched Caribbean vacation, if they so wish. 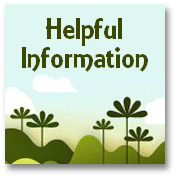 We also remind anyone who purchases Mamajuana herbals for the purpose of brewing their own Mamajuana liqueur using any typical Dominican Mamajuana recipe (which will most likely include one, or more, types of alcoholic ingredients) that they should consume the resulting liquor responsibly, in moderation and in accordance with any current advice provided by their national/local medical advisory body in relation to safe levels of alcohol intake.